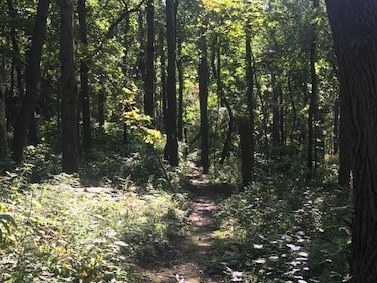 Featuring the Johnstown Moraine and a portion of the Ice Age National Scenic Trail along the northern portion of the site, this 160 acre park provides an excellent opportunity to experience Wisconsin’s glacial history. 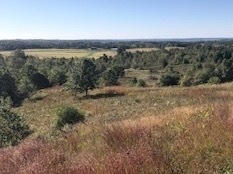 A scenic overlook offers views from the narrow crest of the moraine of the restored oak savannah and surrounding landscapes. A portion of this park is also one of Dane County’s off-leash dog exercise areas with extensive trails and mowed play areas. The trails at Prairie Moraine go along gentle rolling terrain and go through both prairie and wooded sections. 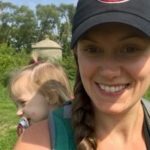 Trails are dirt and are good for established walkers, but having a carrier if they get tired is a good idea. Younger children and babies should be in carrier. You can start at either the Ice Age Trail parking lot or in the dog park portion of the park parking lot. You can access trails from either section, but be aware if you enter through the dog park section you have to go through the area to access the trails outside of the dog section. 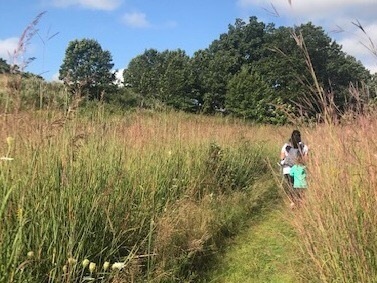 If starting along Ice Age Trail portion, take trail up small hill and it connects with park trails. There are several interconnecting points within the small trail system allowing you to choose your own distance. 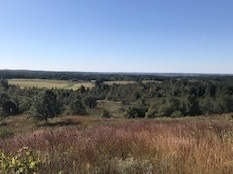 Highly recommend taking one of the connecting trail off the Ice Age Trail to the scenic overlook for stunning views over the park. Trails will take you in and out of prairie and oak savannah landscapes. 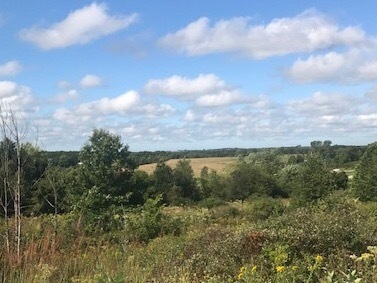 Prairie Moraine offers beautiful scenic views of surround area. Park is close to dining and breweries. Parking is free in Dog park parking lot, but there maybe a fee for parking in Ice Age Trail parking lot. There are two parking lots in this park. The Ice Age Trail pot is closer to county road Pb. The dog park parking lot is farther down the road on Wessner.